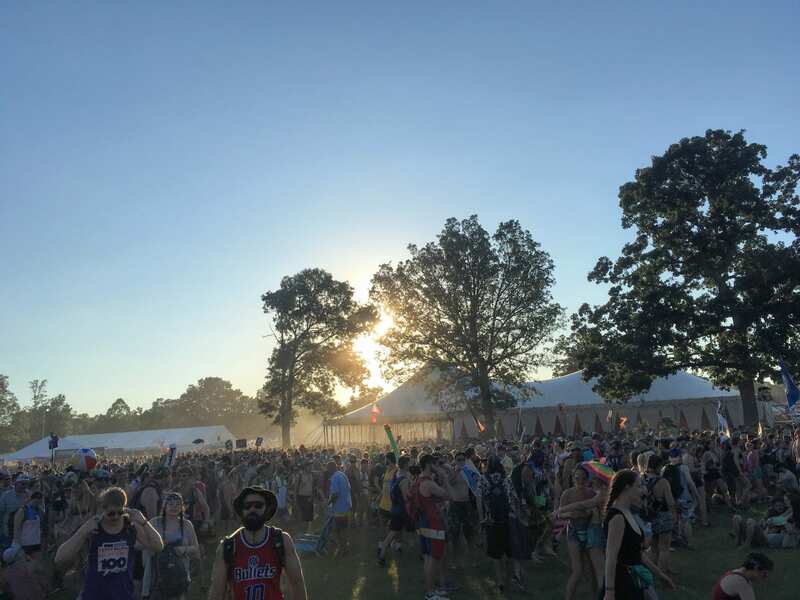 This year’s 15th Annual Bonnaroo was marked by hot weather, (mostly) sunny skies and considerably smaller attendance numbers than in years past, making 2016’s edition a comparably intimate affair for those who made the trip. Perhaps it was the absence of a ‘white whale’ mega-booking (See Paul McCartney in 2013, Radiohead in 2006 and 2012, Jay-Z in 2010, etc.) with the draw to nearly sell out the festival on their own. Rather, maybe this slow sales year is indicative of fact that we have finally reached the peak of festival over-saturation when even an event of Bonnaroo’s stature is affected, or likely a combination of both (combined with increased ticket prices). Rumored attendance figures were as low as 50k compared to the 70-90k reported nearly every year prior, although final attendance numbers have not been announced. As for the programming on the farm, there was more than enough round-the-clock entertainment to go around. 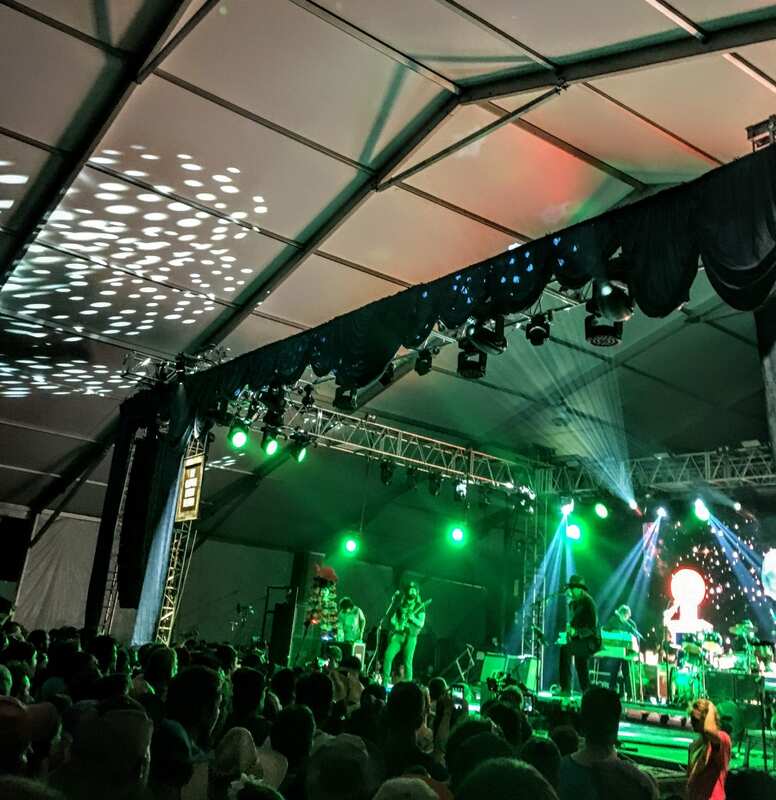 Familiar artists from the festival’s early days like Les Claypool, Ween, Sam Bush and Dead and Company dotted an eclectic lineup alongside an array of artists and comedians from most every major genre. The lineup ran it’s usual spectrum from mainstream country (Chris Stapleton) to metal acts (Lamb of God and Clutch) to modern R&B/soul superstars (Charles Bradley and Leon Bridges) all the way down the line to however-you-describe The Lennon Claypool Delirium. Moreover, there was a glaring lack of major EDM artists filling big slots at this year’s festival (deadmau5 headlined the main stage only a year ago) meaning one of two things (or maybe both: (1) offering the impression that the recently dominant genre may be ebbing back to where it was around the time of the EDM/dubstep explosion of the early 2010’s; and/or (2) one of the causes of this year’s lower ticket sales. While I wasn’t able to take in the entire Bonnaroo weekend this year like in year’s past, we luckily made it into Centeroo by Friday evening in time for an excellent run of sets that included M83 on Which Stage, LCD Soundsystem’s instant classic main stage debut and Tame Impala’s enjoyable (albeit too brief) and confetti-filled late night set back over on Which Stage. Continue below for some photos from the weekend and a quick rundown of the best things I saw at this year’s 15th Annual Bonnaroo festival. The hype was nearly insurmountable and the list of predecessor acts to take up the huge task of playing a headlining Bonnaroo set is a who’s who of classic artists ranging from Paul McCartney to Radiohead to Jay-Z. James Murphy and Co. managed to exceed lofty (and borderline) unrealistic expectations and, most importantly, exuded the kind of energy and enthusiasm that you can’t fake. Murphy and Co. thoroughly enjoyed themselves and laid to rest any preconceived notions I may have had going in that perhaps LCD wasn’t ready to step up to the plate for this kind of show. 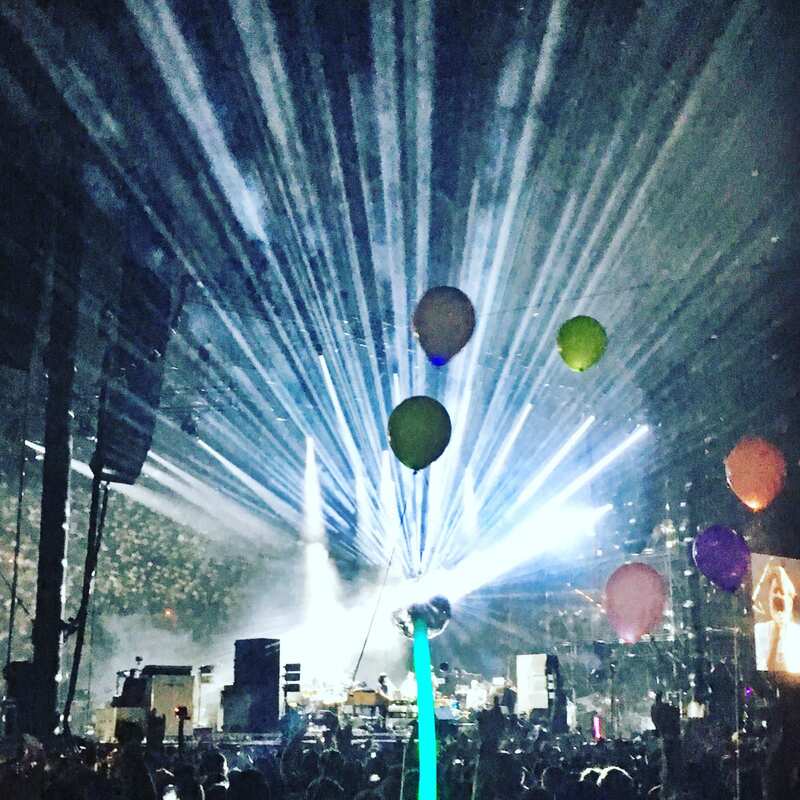 The hits kept coming and it was exceptionally refreshing to these guys and gal earn their keep in such grand fashion, signing off with “Dance Yrself Clean” and “All My Friends” amidst a blast of fireworks, glowing totems and confetti. While 2010’s late night tent set was great, this was highest caliber professionalism on the upper echelon. Takeaway: Let’s hope this reunion run is more of a full-on rebirth (with the delivery of promised new material). This set was quite possibly one of the best headlining sets in Bonnaroo history. It was just that good. 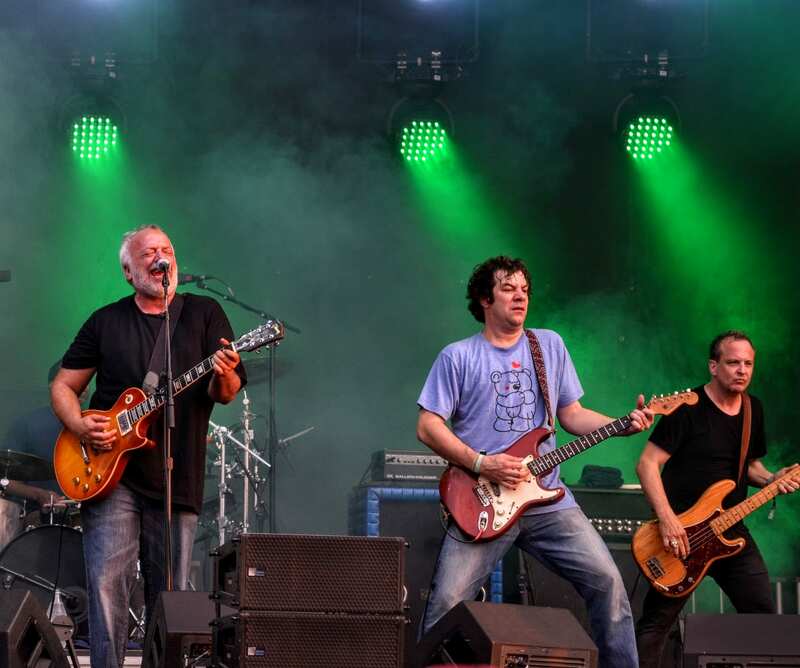 Having read reviews, watched videos and seen the career-spanning setlists from the first half-dozen or so Ween reunion shows, you just kinda knew going in that this one would be special and Gener, Deaner and Co. did not disappoint. The only drawback was the length of the set (75 minutes) didn’t allow for the band to delve too deep into their canyon-esque catalog. The setlist mainly stuck close to familiar classics like the opening “Transdermal Celebration,” “The Mollusk” and “Ocean Man” while an utterly stunning rendition of “Did You See Me” managed to send a wave of chills through the crowd as the Tennessee set began to set. Perhaps no crowd represented a wider demographic cross-section of Bonnaroo attendees, a telling fact proving that The Mighty Boognish is gained a new generation of fans since the return. ** Listen to the full set of Ween at Bonnaroo 2016 here. Takeaway: This set (along with Dead and Company right after) brought the weekend and my personal experiences at Bonnaroo full circle, harkening back to the early years when jambands and the returning “indescribables” (like Ween and any incarnation of Claypool) reigned supreme over the Farm on a yearly basis. Les Claypool has been reliable for a line-of-the-weekend bit of stage banter (beginning with his “Trey Antipasti” comments with Flying Frog Brigade in 2002) and his comment about this being his ’73rd Bonnaroo’ after taking the stage a couple hours delayed (a phantom storm cell popped up out of nowhere Saturday evening to clear out Centeroo and give fans an unplanned, yet refreshing breather) with his latest bandmate, Sean Lennon. The set was twisted, dark, weird, colorful and the selection of the Syd Barrett Floyd classic “Astronomy Domine” as a cover late in the set (in addition to a take on The Beatles “Tomorrow Never Knows”) fit the vibe of Claypool’s latest project perfectly. As a bonus (“what a surprise…”), we got to hear Primus on the farm once again (they previously appeared in 2004 and again in 2011) and Claypool thumped his way through “Southbound Pachyderm” from Tales from the Punchbowl that may be about elephants or viewing solar eclipses (or both?). Either way, Claypool is one weird, talented dude and that’s why we continue to follow and critique his every project with renewed intrigue. Takeaway: Les Claypool can play Bonnaroo in any form and it will still be riveting, bizarre and worthy of attending over just about anything else at the time. Also, you can count on the Colonel for a few laughs while filling the space between tunes. In the Bonnaroo universe, Les Claypool is basically a deity at this point, perhaps no artist has a deeper connection with the festival and perhaps a Claypool-led Superjam should be in order one of these days? Wouldn’t that be a trip? Chicano Batman was entirely unfamiliar to me until recently and having never seen them live, I was excited to see what these guys could bring to the table. The LA quartet serves up a stylistic melangé of pan-Latin music, going in a lot of different places and exploring some jarringly psychedelic spaces at times throughout the hour-long set. Their complex, yet danceable style took jaunts through soulful tropicalia, meandering psychedelia, and groove-laden soul and the entire set was completely captivating. There were odd time signatures, complex rhythmic structures and it was generally difficult to predict where they were going to take things next, adding excitement and maintaining full attention of the building crowd throughout. 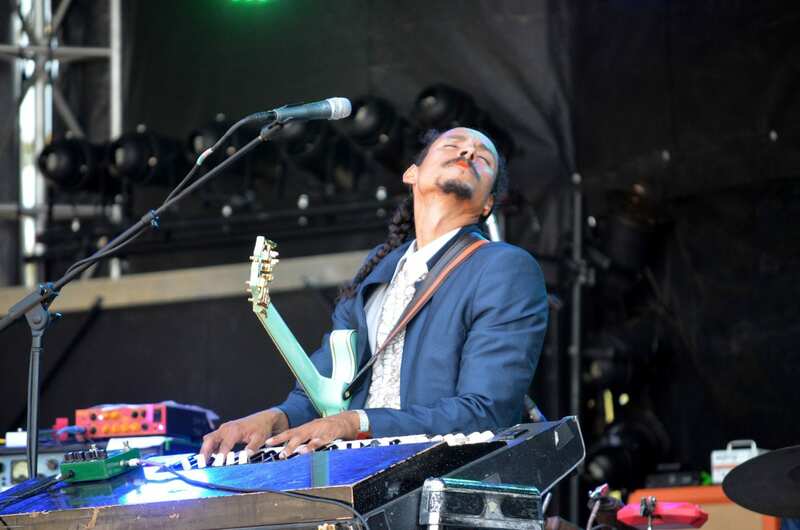 Takeaway: Will not miss LA’s Chicano Batman the next time they are touring and expect/hope to see them dotting major festival lineups for a long time. Discovering bands like these are what summer music festivals are all about. 5. Cymande’s Sunday appearance on Which Stage was their first US festival appearance in 43 years … and worth the wait. There are left-field bookings (see GWAR, Alice Cooper, Billy Idol, Dierks Bentley) and then there are just total shockers like Bonnaroo booking this obscure crate-digger’s favorite London funk/soul group from the early-70s. 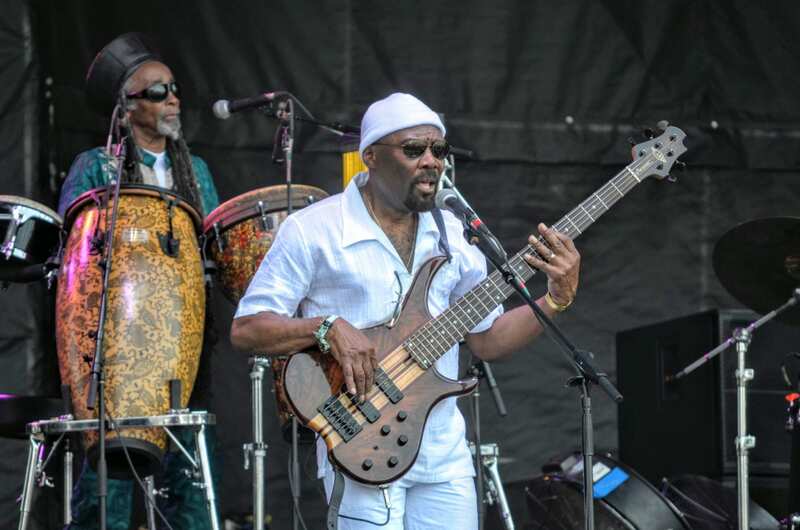 Their name was buried midway down the Bonnaroo lineup when it was released this winter and the scattered turnout of diehards and Sunday wanderers were handsomely rewarded by a vibrant and definitively cool set from London’s greatest funk band, back from a very, very, very long break. Kudos to the guy dancing front left who held up two of their classic LP’s throughout the set. Takeaway: For obvious reasons, go see them. If you don’t get the chance, dig into their back catalog. It is filled with musical genius. – Chris Stapleton’s lengthy and improvised band introductions during “Tennessee Whiskey” with the Bonnagrannies parked stage-right was a sight to see. – Charles Bradley’s version of Black Sabbath’s “Changes” brought chills across the farm in the middle of the Sunday heat. – Tame Impala’s confetti blasts during “New Person, Same Old Mistakes” (WATCH). Great set but a tad underwhelming due to not filling their allotted two hours. – Steve Gunn’s midday Saturday tent set was just what the doctor ordered on Saturday afternoon and included tons of material from his great new LP Eyes on the Lines. – The double-header of two of my favorite artists (Kurt Vile and Father John Misty) on Which Stage prior to Ween was nothing to shake a stick at, even if the bookends on either side made the ‘best-of’ list above. Maybe recent familiarity with the each artist’s live set had something to do with it. Nevertheless, Kurt Vile’s renditions of the sweeping hazy afternoon guitar jam “Goldtones” and “Jesus Fever” highlighted the his set for me and the laundry list of ridiculous stage banter quotes from Father John Misty’s J. Tillman is worth checking out. You can watch a good chunk of the FJM set here. 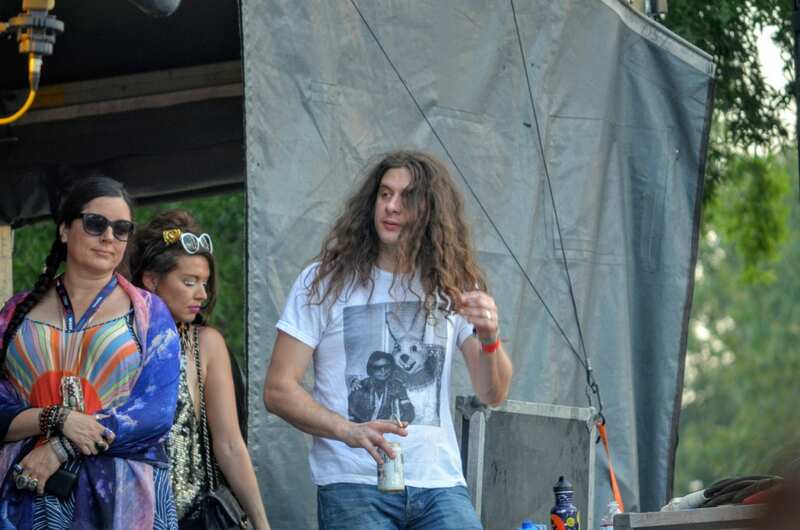 Was cool to see Kurt Vile rockin’ out to his PA brethren stage left throughout Ween’s set. – Return of the Dead: Dead and Company’s festival closing set was like one big family reunion on Sunday night after several years of conspicuous Dead-related absence from the lineup. Call it cliched (because it is), but hearing “Tennessee Jed” amongst such a joyous and massive audience was the perfect way to wrap up another beautiful weekend on the Farm. Here’s to yet another standout weekend (my 11th Bonnaroo) spent with old friends from far and wide. Hoping we can do it all over again real soon. One thing remains true: The Farm ain’t perfect and far from most people’s idea of paradise, but it’s a truly magical place where musical dreams can and do come true.